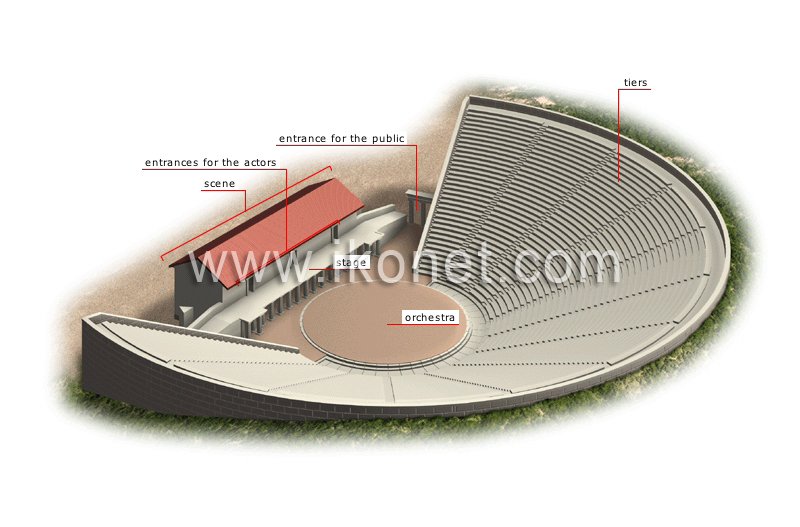 Open-air structure, often built on a hillside, where theatrical performances were staged during antiquity. Stone benches arranged in tiers and used to seat the audience. Doors used by the actors to go to and from the backstage area and the stage. Building that enclosed the stage and served as a backstage area for performers. Space where the choir performed. Platform where the actors performed.